Hi all! Another month has passed and a lot has been happening here at the Marine Discovery Centre. This month I found myself travelling across atolls in search of mantas, welcoming more turtle patients for rehabilitation, and learning new facts and techniques for our coral and fish programmes. (In case you missed them, here are my previous chapters One, Two and Three). 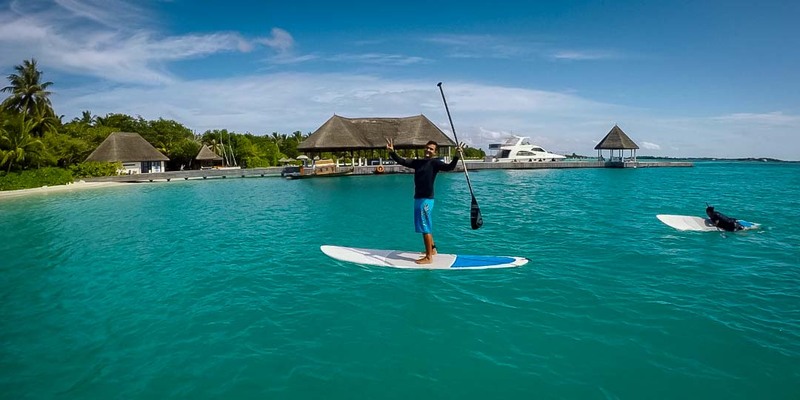 At the beginning of June, I was given the opportunity to travel to the Four Seasons Resort on Landaa Giraavaru to meet their team of biologists and experience how their Marine Discovery Centre operates. The journey alone was already an exciting adventure as it was my first time travelling via seaplane. 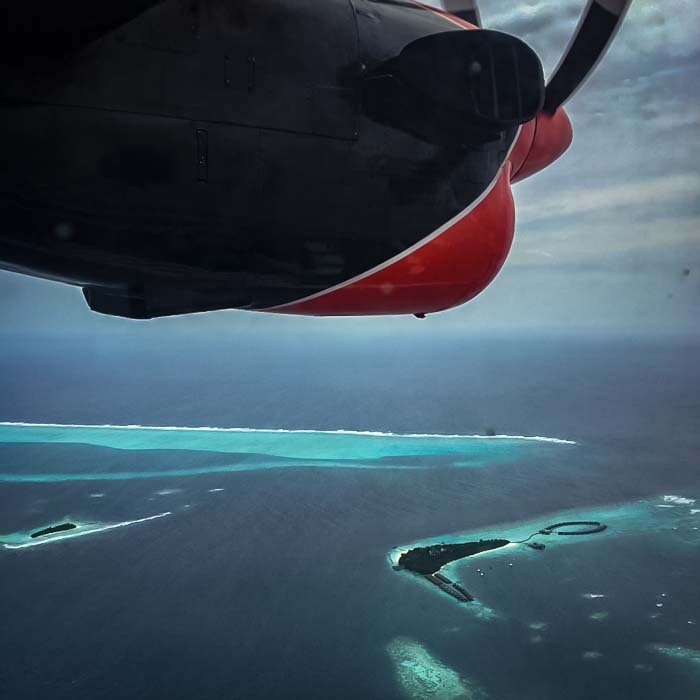 Being able to see all the islands that make up the Maldives from a bird’s eye view was incredible; you’re able to see how almost every island is surrounded by a ring of coral reefs. Spectacular view from the seaplane! I spent a total of 10 days in Landaa, during which time I spent helping different team members in their departments. I joined the coral biologists, Monty and Simon, to collect coral fragments and also to refurbish old frames by replacing broken or dead corals with new ones. It was interesting to see how compared to Kuda Huraa, Landaa utilises Pocillopora fragments as opposed to Acropora, as it is much more abundant on their reefs. I was also able to join Aku in the Fish Lab helping him cultivate the algae which are used in the fish-feeding process; it was interesting to see how the algae and fertilisers are carefully measured out and placed under specific lighting in order to maximise their growth. Landaa has a fish-breeding programme where they are currently breeding various species of anemonefish and seahorses. 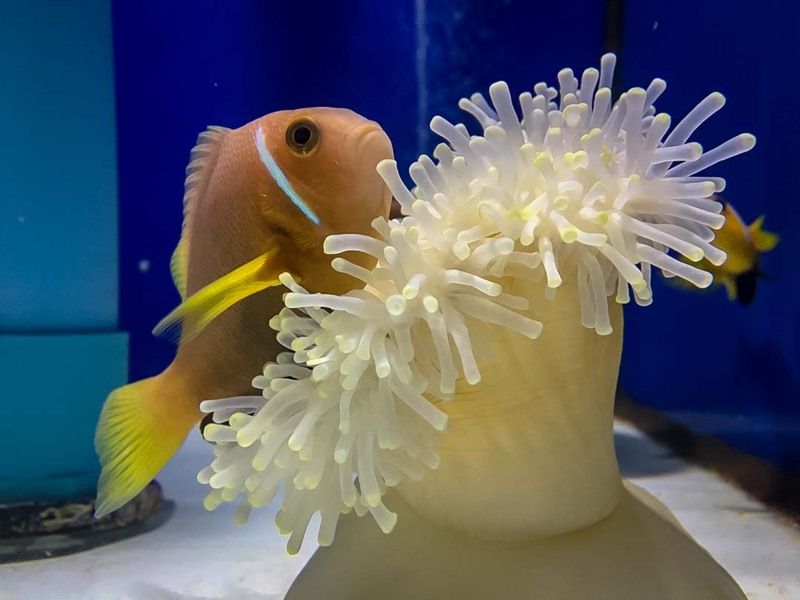 Anemonefish numbers around the Maldives have been decreasing in recent years due to an increasing desire by humans to keep them as pets. At Landaa, they aim to aid in the repopulation of anemonefish numbers in the Maldives. I was also able to join in and lead a few dolphin cruises and snorkel trips. It was interesting to see the differences in reefs and marine life there compared to the sites in Kuda Huraa. Most of my time involved helping Audrey the marine/turtle biologist with her turtle patients. Though there may have only been a total of 4 turtles in the Rehab Centre, each one had its own personality, which I came to know and love over the week I was there. I was happy to hear that ‘Marion’ (a rescued Olive Ridley turtle) was released the week following my departure from the island. 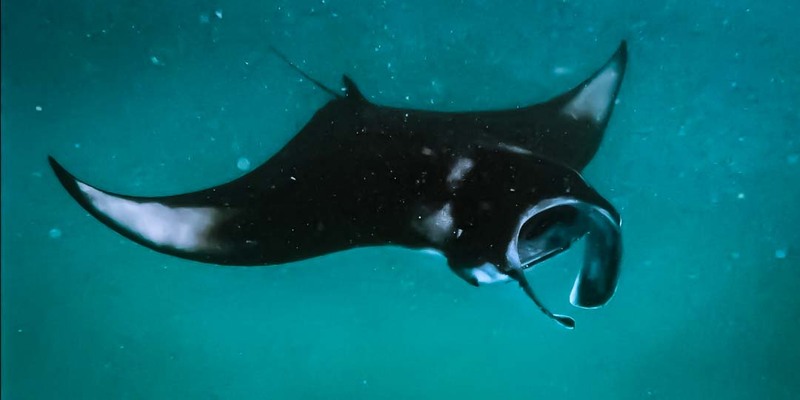 Baa Atoll is renowned for its manta rays at the world-famous Hanifaru Bay, and while I was there I jumped at the opportunity to see these gentle giants up close and personal. The Manta Trust is a global organisation dedicated to the conservation of these Mobulid rays through research, education and collaboration projects. 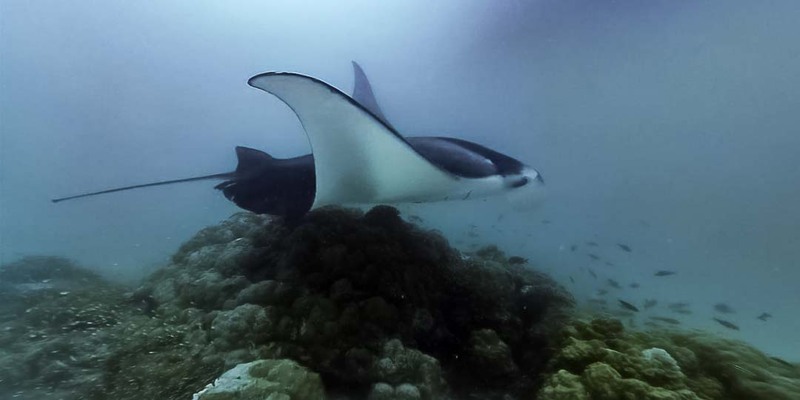 They have a team based at Landaa, who offered me the privilege to join them on one of their research trips to monitor the mantas around Baa Atoll. Spending seven hours on the research boat travelling to and from various cleaning stations in search of mantas was one of the best marine experiences I have ever had! Though it was still the beginning of the season, we were able to record some mantas at each of the sites. I was even lucky enough to witness a mating chain of around six individuals, lead by a pregnant female manta! I am grateful to The Manta Trust for the opportunity to join their trip and for the work they do to conserve these ocean giants. In other news, here in Kuda Huraa our turtle centre is getting busier by the day, with four new arrivals this month, increasing our total number of residents to 37! 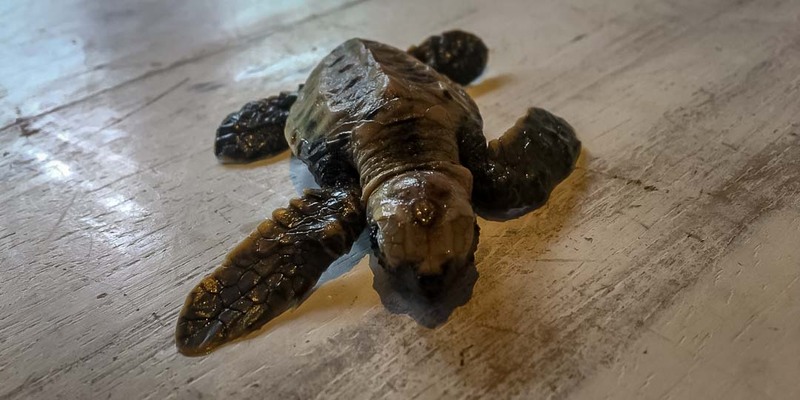 Our newest editions consist of three Hawksbill turtle hatchlings and one mature Olive Ridley turtle. 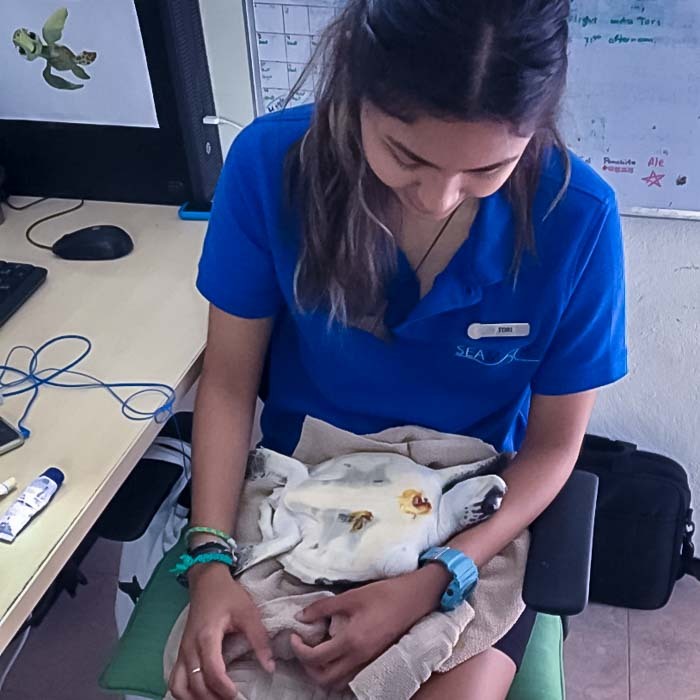 Two of our new babies arrived from Voavah island with carapace deformations, while the other was sent to us from Gili Lankanfushi after she was left behind in the nest. 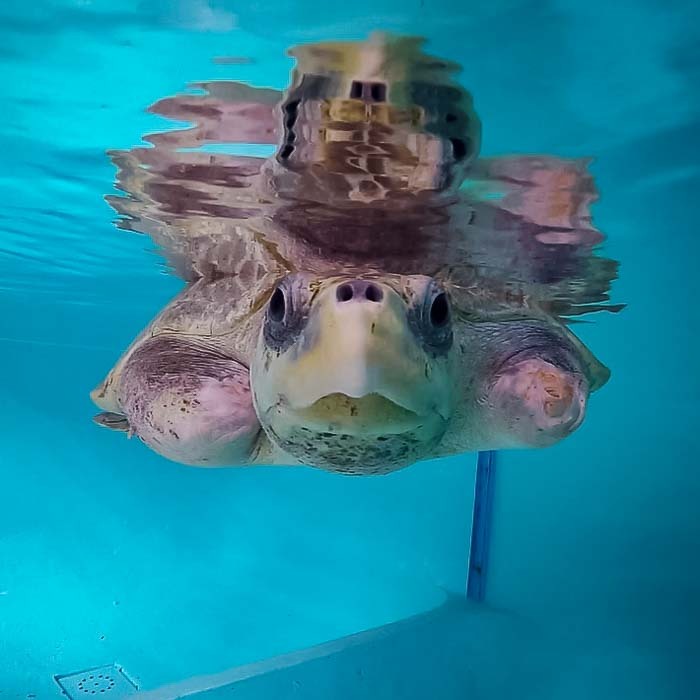 Flipsy, Amelia, and Toby will remain in our care until they are fit and healthy for release into the ocean. Varugadha (a large female Olive Ridley turtle) was brought to us from South Male atoll with a severe buoyancy issue. We are currently assessing her condition and giving her the necessary treatments. We will keep her in the Centre with us until we see a full recovery from her injuries. Next month will be my last here in the Maldives and as sad as I am to know I will be leaving so soon, I am looking forward to the new experiences that the month will bring. Time for some rest & relaxation! Enjoying paddle-boarding with friends on my day off.